The Holidays are some of the most fun and joyous days of the year. 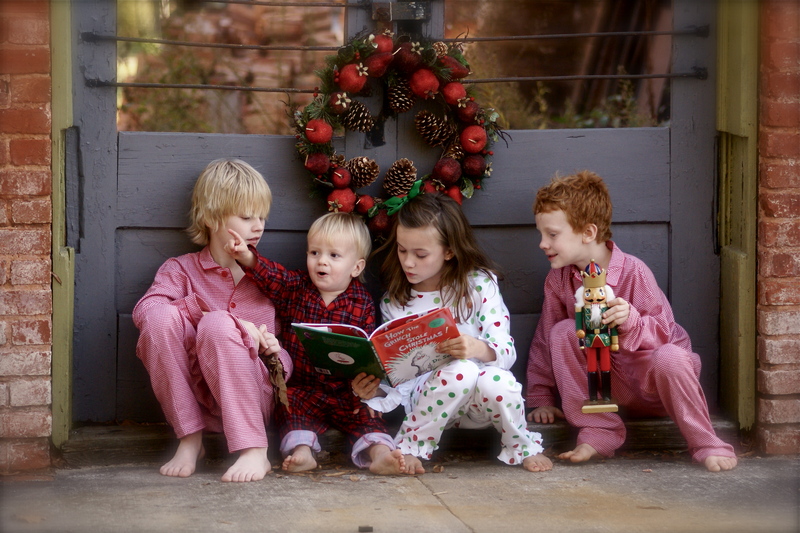 The kids are on winter break from school, the streets and your home are adorned with holly and red bows, and family and friends are gathering to celebrate the best time of year. With all the hustle and bustle of the holidays, however, it can be hard to decide just what to do with your rambunctious little ones between all the shopping trips, days of baking, and picture-perfect snowfalls in the Steel City. Here we have a definitive list breaking down the most festive activities for the whole family to join in on over winter break. In the midst of two weeks of having the kids out of school, frantic shopping trips, and busy days packed with visiting family, every parent needs a break. For your relaxation or some kid-free shopping, check out the holiday workshops at Snapology. Snapology is a STEM-driven workspace for curious kids with locations throughout the Pittsburgh area and the nation. They offer a variety of fun winter break workshops, including Science of Slime, Fidget Spinners, Drone Commander, and Mega Machines Robotic to keep the youngsters busy and keep their minds working over a break from school. Pittsburgh locations are also offering Drop & Shop workshops so you can get some much-needed shopping done. With a variety of classes and themes, your kids are sure to have a blast at Snapology over winter break. Kennywood Park is a Pittsburgh classic held near and dear to the hearts of every child growing up in Western Pennsylvania. The Holiday Lights celebration at this family-friendly amusement park is no different. Starting on weekends after Thanksgiving, the park turns into a holiday wonderland full of light shows, performances, and the lighting of a 90-foot Christmas tree – the tallest Christmas tree in the state. The park features a selection of its favorite rides and, if you’re in need of a break from the excitement, a 4D showing of The Polar Express on a continuous loop. The holiday fun wouldn’t be complete without a visit from the big man himself, and Kennywood even offers a dinner with Santa to keep the holiday excitement growing all throughout the holiday season. We’ve all grown up hearing the story of Dr. Seuss’s How the Grinch Stole Christmas, and have seen it evolve from a cartoon special to a live-action movie starring Jim Carey. This holiday season, this family favorite comes to the stage of Heinz Hall presented by the Pittsburgh Cultural Trust. Gather up the whole family and watch Whoville sing, dance, and celebrate their favorite time of year in this theatrical showing of a holiday classic. This show designed to warm your hearts (and even make it grow nine times or so!) will enwrap in feelings of joy, a bunch of giggles, and a friendly reminder of the true spirit of Christmas. Nothing puts you in the holiday spirit quite like a festival full of lights, food, and celebration. That’s exactly what you’ll find at Overly’s Country Christmas – a Christmas village light show extravaganza. Overly’s Country Christmas features a variety of activities for the whole family, including detailed model trains, Mr. Waterheater’s Funderland, bonfires, caroling, train rides, and horse-drawn sleigh rides through the festival. The entire festival is centered around community outreach and fundraising, making it an activity that continues to give during the season of giving. Overly’s Country Christmas, with its beautiful nostalgic feel, is sure to become one of your favorite holiday traditions for years to come. The Cathedral of Learning is one of Pittsburgh’s most beautiful and iconic buildings. This 42-story building in the heart of Oakland is the star of the University of Pittsburgh’s campus. This gothic-styled cathedral features beautiful holiday decorations inside, including beautifully decorated Christmas trees and fireplaces draped with golden ribbons and holly. Inside of the cathedral are 28 specially-designed nationality rooms, each of which are inspired by the look and feel of classrooms in countries all over the world. Best of all – these classrooms are all decorated for the holidays traditions of each respective country. Students at the university offer guided tours of the rooms, or you and the family can pop in for a peek whenever convenient to explore the meaning of the holiday season all over the world. With a variety of activities all around you to celebrate the holiday season, it can be hard to choose which ones are the best, most memorable experiences for your family. During the holiday season, no matter how you spend your time, remember to stay jolly and celebrate the truest gift of the season: being surrounded by family, friends, and loved ones.